After planning a big night at the tables, don’t take a gamble on your transportation – let our casino limousine service provide your ride! An evening at the casino calls for luxury all the way and there’s no finer way to travel than in one of AAA beautiful casino limousines. Make it a trip to remember with your family and friends in our luxurious vehicles with our special limousine packages for casinos. All vehicles will be stocked with ice and water. 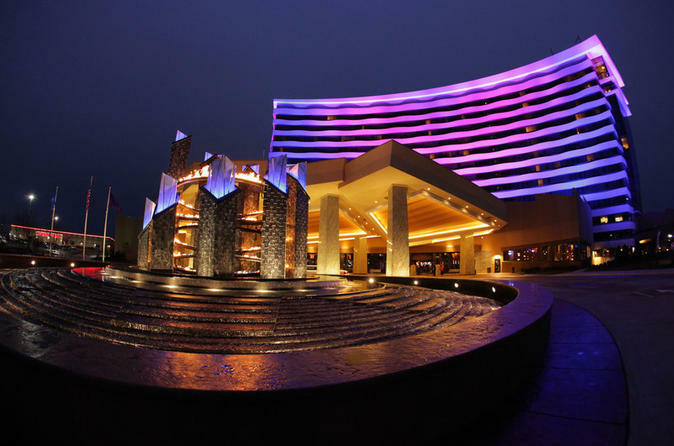 We’ll get you to your favorite casino, so you can relax and enjoy the journey. There’s no need to roll the dice – when it is time to book transportation for your casino trip, a limousine from AAA Limousine is always a good bet. We strive to continually push the limits of limo service and limousine technology. This focus along with delivering the most competitive pricing is what makes us the leader in casino limos in throughout the nation.